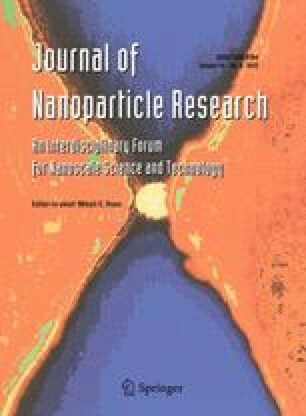 While nephrotoxicity of cadmium is well documented, very limited information exists on renal effects of exposure to cadmium-containing nanomaterials. In this work, “omics” methodologies have been used to assess the action of cadmium-containing silica nanoparticles (Cd-SiNPs) in the kidney of Sprague-Dawley rats exposed intratracheally. Groups of animals received a single dose of Cd-SiNPs (1 mg/rat), CdCl2 (400 μg/rat) or 0.1 ml saline (control). Renal gene expression was evaluated 7 and 30 days post exposure by DNA microarray technology using the Agilent Whole Rat Genome Microarray 4x44K. Gene modulating effects were observed in kidney at both time periods after treatment with Cd-SiNPs. The number of differentially expressed genes being 139 and 153 at the post exposure days 7 and 30, respectively. Renal gene expression changes were also observed in the kidney of CdCl2-treated rats with a total of 253 and 70 probes modulated at 7 and 30 days, respectively. Analysis of renal gene expression profiles at day 7 indicated in both Cd-SiNP and CdCl2 groups downregulation of several cluster genes linked to immune function, oxidative stress, and inflammation processes. Differing from day 7, the majority of cluster gene categories modified by nanoparticles in kidney 30 days after dosing were genes implicated in cell regulation and apoptosis. Modest renal gene expression changes were observed at day 30 in rats treated with CdCl2. These results indicate that kidney may be a susceptible target for subtle long-lasting molecular alterations produced by cadmium nanoparticles locally instilled in the lung. Nanoparticles (Cd-SiNPs) were prepared, characterized, and kindly provided by Prof. Piercarlo Mustarelli, University of Pavia Department of Physical Chemistry. We would like to thank CAMCOR team, University of Oregon (Eugene, OR, USA) for the valuable support and assistance on the physicochemical characterization of Cd/SiNPs. Work supported by Grants from the European Commission, Italian Ministry of Health, Italian Ministry of Research and Education, CARIPLO Foundation (Rif. 2009–2440). The authors wish to acknowledge Mr. Davide Acerbi for his excellent technical assistance.